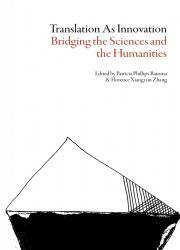 This book is edited by Patricia Phillips-Batoma and Florence Zhang. Patricia Phillips-Batoma received her PhD in French from the University of Illinois at Urbana-Champaign. She teaches courses for the professional track of the MA in Translation and Interpreting, and has an affiliate appointment with the Department of French. Florence Xiangyun Zhang is an associate professor at Université Paris Diderot, where she teaches Chinese and French-to-Chinese translation. She also translates French literature for Chinese publishers.